Recently, at the second annual Movado Group Summit in Davos, Switzerland, a host of news, products, ventures and other exciting forays were not only unveiled, but also discussed in detail in a way that was lively, energetic and productive. 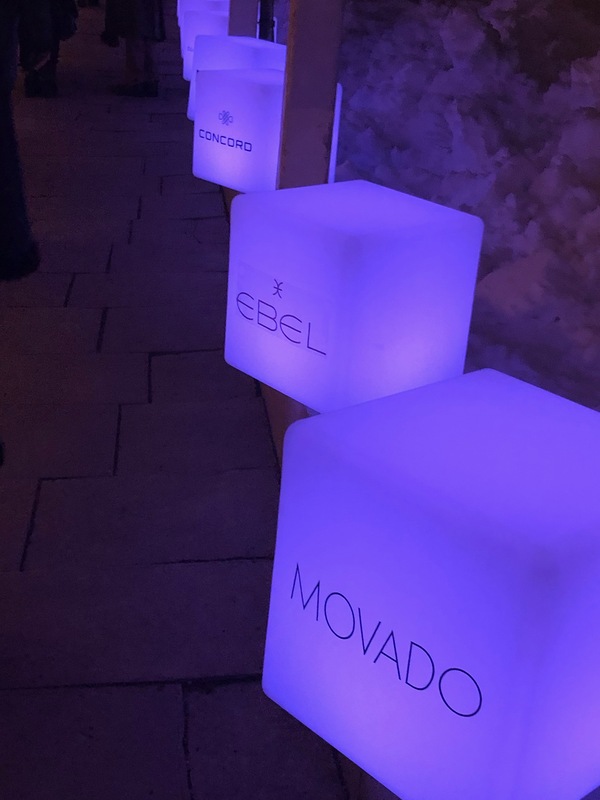 While this was the second world Movado Group Summit to be held, it was the first one where a handful of press was selected to attend the three-day 2019 event, and I was fortunate enough to be one of them. Here I bring you the first behind-the-scenes look at what went on during those three days and how Movado Group is leading the way for energetic, innovative and successful ways of doing business. Keep in mind, this is just a look at the Summit and its format and speakers, more in-depth articles will be forthcoming in the weeks ahead (as noted in the final paragraph of this story). Having long been a fan of the Movado Group (even before it was the Movado Group — read the history below), I was quite excited to spend three days in Davos prior to this year’s Baselworld Show to witness what went on and why it was relevant. To begin with, I have to hand it to the detail-oriented Movado Group. Everything was well thought out from the get-go, from transportation to coffee breaks, free time, interviews (I’ll have a host of those forthcoming), panel discussions and incredible keynote speakers. 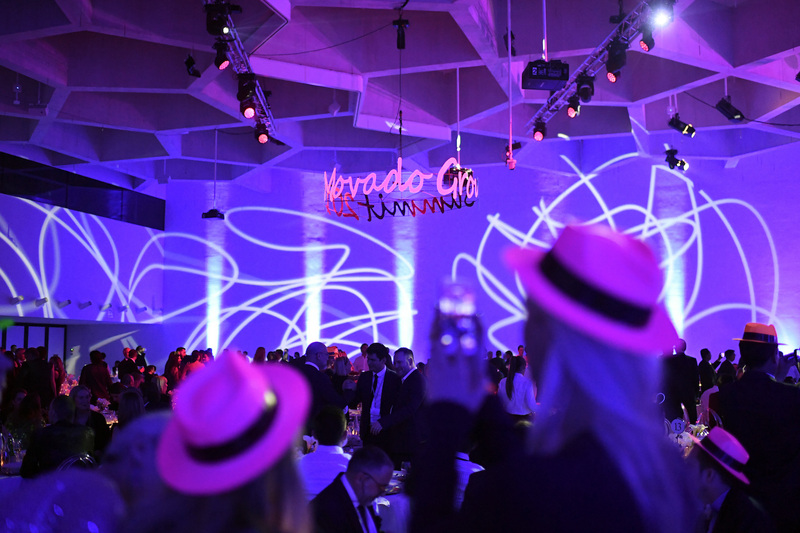 While the Summit was supposed to be all about the Movado Group – and it was – there was plenty of time to rest and relax, or go on a Movado planned activity, while having time to reflect on what you just saw or heard. All of the events took place in the same place that the World Summit occurs: the oddly displaced (in terms of architecture) and incredibly beautiful Intercontinental Hotel. While many of the 500+ attendees from around the world — consisting of customers, distributors and press from more than 40 countries — stayed in a variety of hotels, the Intercontinental was the meeting point. With wonderful views of the mountains, continuous meals, coffee, snacks, the venue couldn’t have been more perfect. 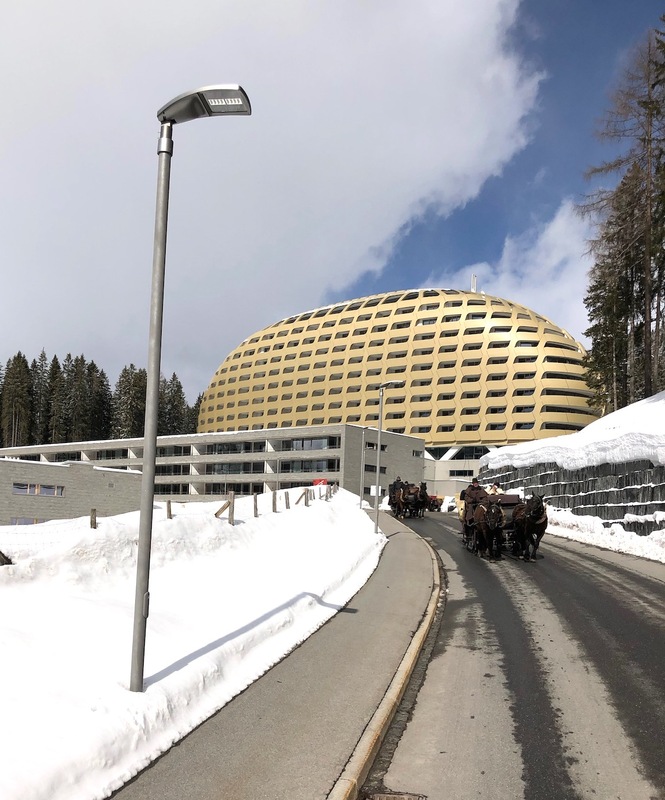 Hotel Intercontinental in Davos where the Movado Group Summit 2019 was held. Essentially, the Summit is all about taking a deeper dive, and acquiring a more familiar sense of the Movado Group’s most important marketing initiatives and brand strategies across its 11-brand portfolio. The concept has been to have a more inspiring and informative landscape to present the brand’s information. The event is a grand blend of work and relaxation, a time to get to know others, ask questions and indulge in the Movado Group. The first evening consisted of a funicular ride up to Schatzalp Restaurant and modern art hotel. 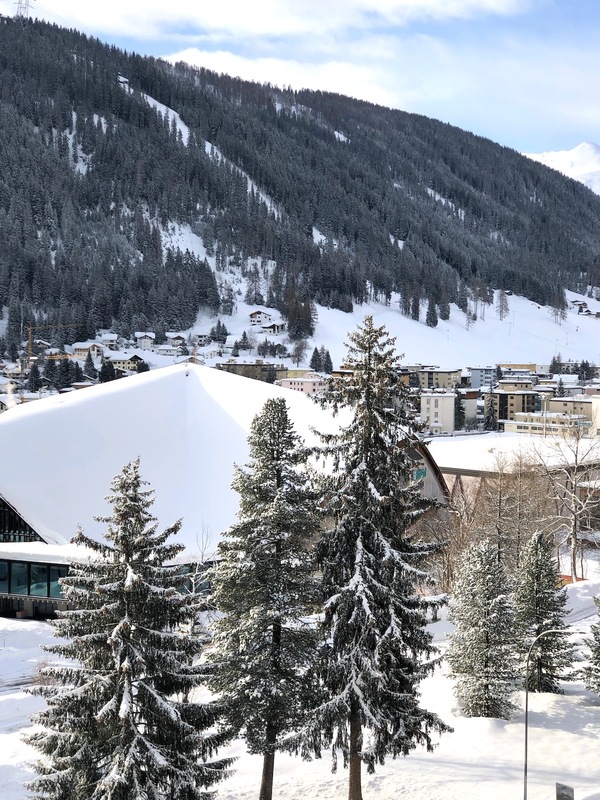 With panoramic views of Davos Klosters, the restaurant and hotel has an amazing history that drew me in almost as quickly as the breathtaking event Movado Group planned. Outside in the snow, with Swiss horns playing an amazing open bar, were strategically placed cauldrons filled with fondue, meat platters indigenous to the Swiss and so much more that was a prelude to the indoor seated dinner that took place next. Still, for me, a journalist and author, the history of the place drew me in even more. For it was around this setting that Nobel Prize winner for Literature, Thomas Mann, wrote one of his most significant novels, “The Magic Mountain.” Set during the time when the area held several sanatoriums and rest facilities for those with tuberculosis. The novel casts the leading character as a healthy man visiting his cousin who is being treated and who takes an incredible view of the life there, insisting that the illness enriches these people and enhances their quest for life in ways healthy people have no idea. Mann wrote the important pieces of literature while visiting his wife, who also suffered from tuberculosis. 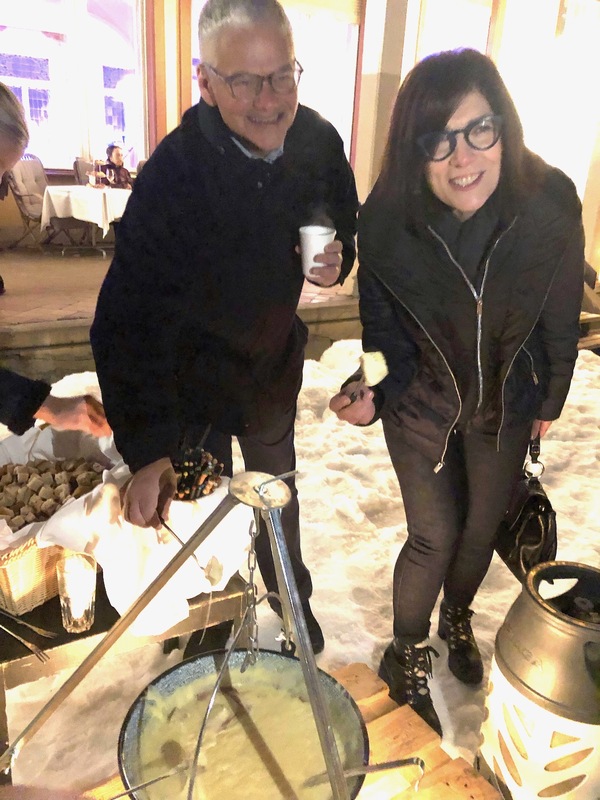 Efraim Grinberg, chairman and CEO of Movado Group, and Mary Leach, CMO of Movado Group at the outdoor fondue cauldron in Davos Klosters. Of course, if you weren’t standing on the mountain with this view and learning of this history, no doubt the views and the event would have captured your attention much more strongly. My point is: every detail of the Movado Summit was well developed and orchestrated. 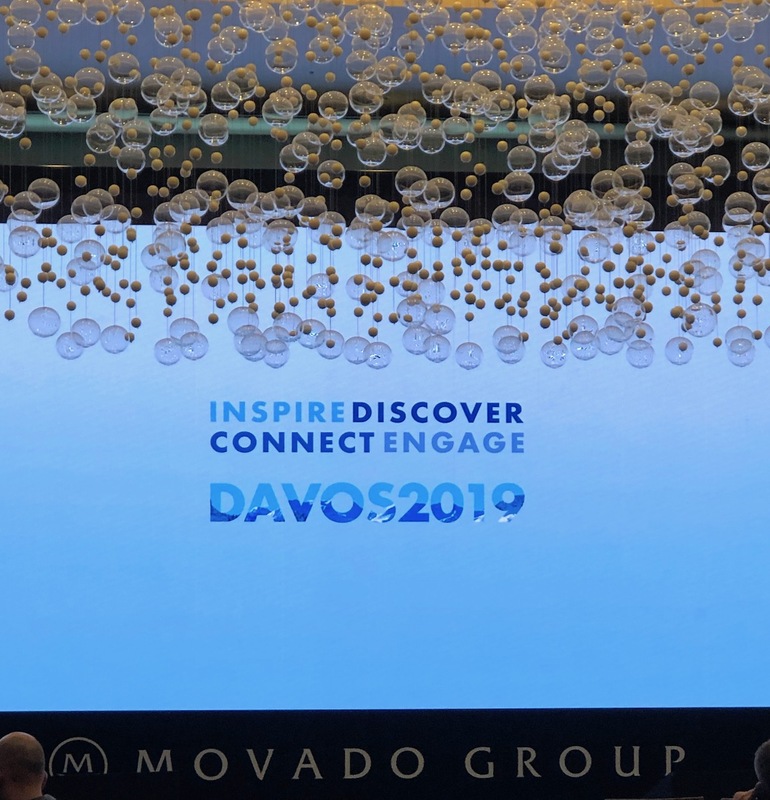 The next day, the first opened to the press, witnessed a welcome speech by Efraim Grinberg, Chairman and CEO of Movado Group, and by Mary Leach, CMO of the Movado Group. 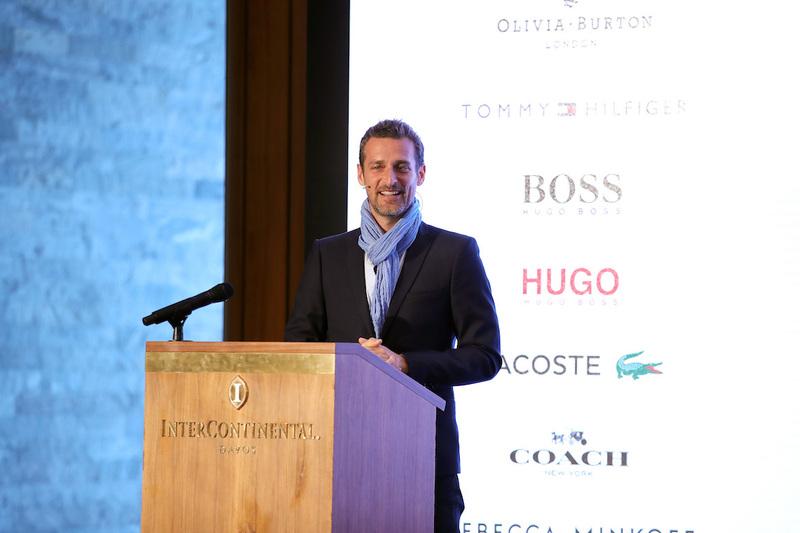 There they announced an incredible new partnership with photographer, author and conservationist Alexi Lubomirski (who was the official photographer of the recent Royal Wedding). The initiative revolves around creating a vegan Movado watch. It is the first such effort by Movado, and is part of the brand’s newest Movado Artist Series. Lubomirski will design the brand’s first vegan watch, which will launch this year for the holidays. New Movado Connected watch to be released later this year, as seen at the Movado Group Summit, Davos. 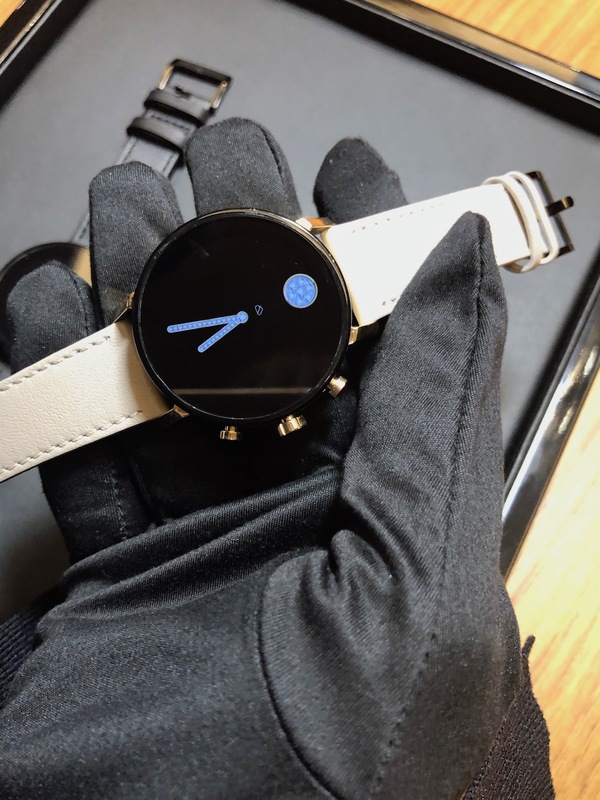 During this session, too, Movado announced the launch of its next generation smartwatch – Movado Connect 2.0 featuring Google’s latest software with new functionalities. It will be smaller in size and offer hundreds of customizable dials and interchangeable straps making it a true fashion accessory. The Movado Connect 2.0 officially launches late this Summer. 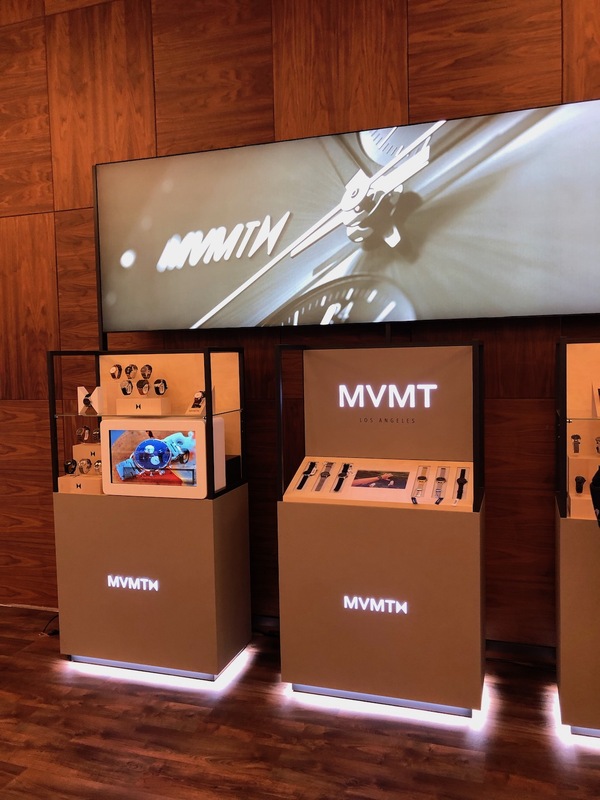 All of the Movado Group brands had product on display and exhibit during the Movado Group Summit 2091. This opening press conference was followed by an open exhibit – showcasing new products from each of the Movado Group owned brands (Movado, Concord, Ebel, MVMT, Olivia Burton) and the Movado Group licensed brands (Coach, Hugo Boss, Lacoste, Tommy Hilfiger, Scuderia Ferrari, Rebecca Minkoff). It was a total immersion in the Movado Group – offering a clear understanding of what each brand is about and how they fit into the Movado Group umbrella. That night, we were treated to an exceptional gala dinner where Amal Clooney was the keynote speaker. A British human rights lawyer practicing at Doughty Street Chambers in London, Clooney shared insights on important global topics including human rights, global politics and the effects they have on society today and in the future. Power of Brands panel discussion. 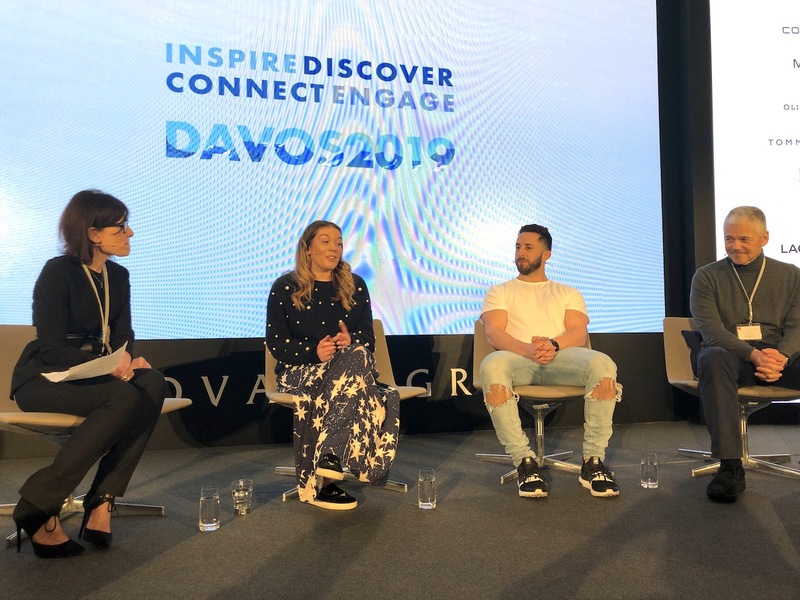 Left to right; Mary Leach, CMO Movado, Jemma Fennings, co-founder, Olivia Burton, Jake Kassan co-founder MVMT, Efraim Grinberg, CEO Movado Group. I walked away not only inspired by the young companies, but also inspired by the Movado Group and by its leader, Efraim Grinberg who – despite being a baby boomer – has embraced today’s cultures, today’s way of communicating and reaching out via life stories and experiences – and has, in my opinion, thus far brought back one of the most successful business concepts for reaching today’s customers. With a strategic plan to make Movado Group a consumer-first digital omni channel that will also work with retailers, accelerate brand growth across all of its brands and add and build new business, Movado Group is well poised for continued double-digit growth. As mentioned, this was a behind-the-scenes look at the Movado Group Summit, but check back … we will be writing a host of important spin-off articles that outline the new Movado efforts in conservation, as well as a host of interviews and the news and new products from brands like MVMT and Olivia Burton. With everyone at Baselworld talking about how the Swatch Group withdrew from the fair for the 2019 edition, I was amazed how so few people looked back on the fact that in 2017 the Movado Group – which had occupied the entire Hall 1.0 South — announced it was leaving the Fair. Maybe because the company, with its many brands, had occupied a space outside the main hall for a few years and people were less cognizant of their presence. No matter. 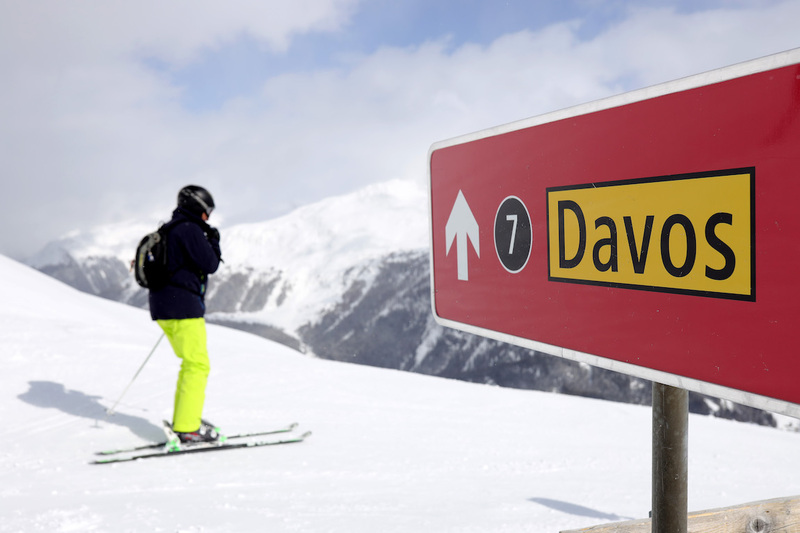 When the Movado Group left Baselworld, the publicly traded company headed by Efraim Grinberg as CEO, announced its intentions to hold its own world summit in the world’s best-known summit location: Davos. 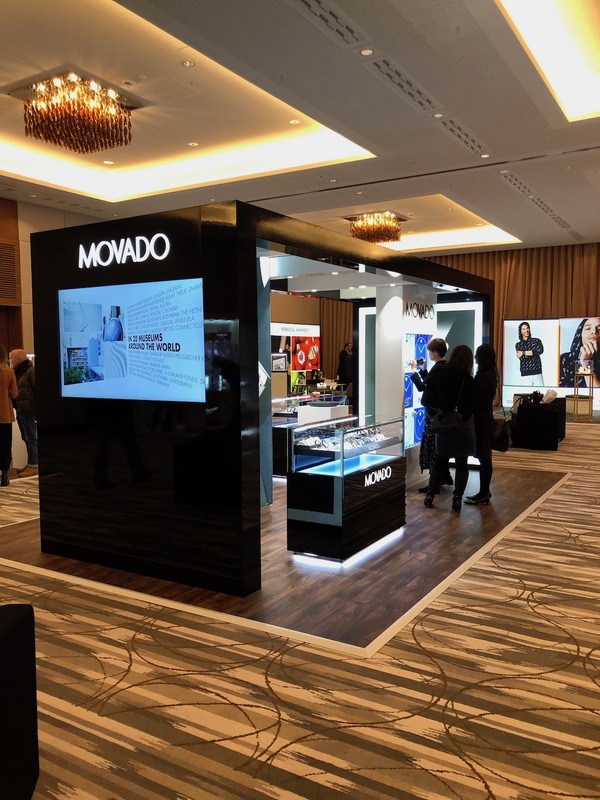 In 2018, the Group brought together hundreds of retail partners and others in Davos to discuss business and immerse them in the Movado Group culture. No press was invited. As mentioned, this year, at the 2019 Movado Summit in Davos, that changed. Efraim Grinberg, Chairman and CEO of the Group, acknowledged that it was time to bring select press to the event to witness what transpires and how it impacts business. Mind you, I have known Efraim Grinberg since the early 1980’s when the company was known as North American Watch Company. The company had been founded by his father, Gedalio (Jerry) Grinberg (whose story as a Cuban-born Jew who fled Fidel Castro’s revolution with his family in 1960, is also compelling), and was the distributor of brands such as Concord, Corum, Piaget and, of course, Movado, which they had purchased in 1983. Efraim Grinberg worked his way up in the company. He didn’t start with a cushy job; he worked the stock room, the sales route and so much more over the course of his career that he became one with the company. Eventually, North American Watch Company morphed. A larger Group (Richemont) purchased Piaget, and Efraim took the Movado Group public. He also invested in growing the Movado Group holdings, not only keeping Concord and Ebel in the loop, but also adding a host of licensed and owned fashion watch brands (Coach, Tommy Hilfiger, Hugo Boss, Lacoste, and more), and even – recently – purchasing new brands. Additionally, Movado had the foresight to come on board early to the Smartwatch game with the Movado Connect watch (and Connect 2 being released this fall), and more. With such strong sales, one can argue that the decision to leave Baselworld in no way impacted the brand’s sales, or successes. Grinberg had already indicated that the show was not relevant to the way the Movado Group needed to conduct business. From rumors we heard, and obviously from performance, the 2018 Movado Group Summit had been a better and more compelling platform than Baselworld had been for the company, and based on this year’s 2019 Summit, I understand the success.